Join us on our yearly group adventures! BeBrave and join us on our one-of-a-kind adventures or create your own and engage in peer to peer fundraising through your social networks to help raise funds in the fight against human trafficking. In 2016 and 2018 our expeditions to summit of Mt. Kilimanjaro raised almost $40,000 combined and in 2017 the trek to Machu Picchu in Peru raised over $20,000. All donations are tax deductible and go towards training law enforcement officers, making over ‘soft’ interview room in local police departments and teaching young adults in the poorest communities in Nicaragua job skills that break the cycle of poverty (read about this on our Sewing Center page). No money donated to Mission 14 is used to pay for these trips, they are paid for and made possible by only those who choose to participate. views of Mawenzi, Kibo Crater and ash pit, glaciers! 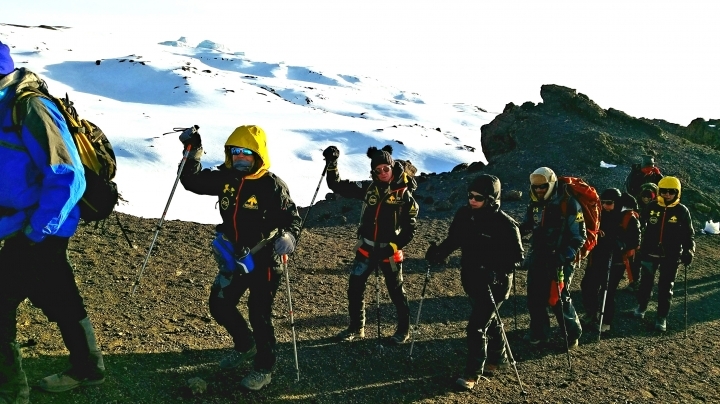 8 climbers summited on August 23th - Congratulations to the team! Thanks for being Brave, you raised over $15,000! Our Trip to Machu Piccu, Peru was amazing.The team hiked over 47 miles in 5 days up and down mountain sides as high as 15,000 ft. and ended at the ruins on Mt. Machu Picchu (one of the 7 wonders of the world). We went through mountain passes very few people have ever seen. We also helped our guides to discover newly uncovered ancient Inca trail. Thanks to team for Being Brave, you raised over $25,000! views of Mawenzi, Kibo Crater and ash pit, glaciers, and The Roof of Africa! 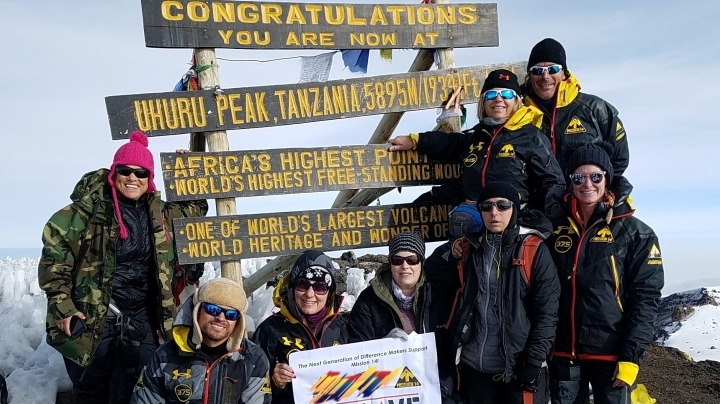 Team Mission14 climbed 19,000 feet to the top of Mt Kilimanjaro! Our goal was to raise $19,000 to fight human trafficking in Baltimore and around the world. 11 climbers summited on July 14, 2016-Congratulations to the team! Thanks for being Brave, you raised over $32,000! Mission 14® is headquartered in Baltimore Maryland and has been a registered 501(c)(3) in the United States since 2011, it is also a registered 6162 NGO in Nicaragua. Donations are tax deductible and go towards our Law Enforcement Training in the US, or our Sewing Center School in Nicaragua. Mission 14® works hard to keep overhead expenses to a minimum and relies on volunteers to assist where possible. © 2019 Mission 14®. All Rights Reserved. 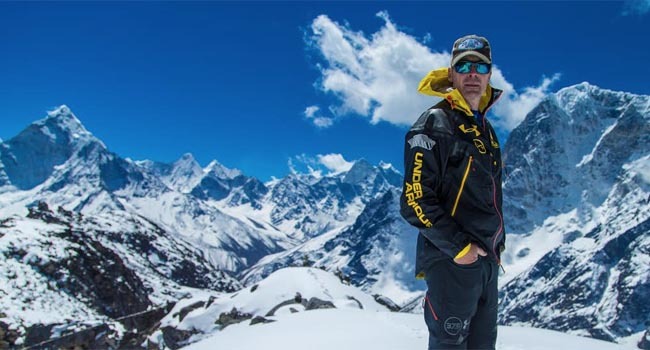 On November 19, 2015, please join us for a fundraiser to welcome home Mission 14 Founder and CEO Nick Cienski from his attempt to summit 6 of the world’s highest mountains to drive action and raise awareness for human trafficking. For tickets to this event, visit our EventBrite page. Together, we have the power to end modern-day slavery.